With my bookshelf groaning under the weight of unread review books, I have declared an emergency Reading Week. Reading Week at university is a bit like half term – the lecturers get a week off teaching, and the students are supposed to use it to catch up on their reading list. When I went back to uni to do my Masters I dreamed of spending a lot of time reading, with the wealth of the university library on hand. The reality was there was never any time to ready anything that wasn’t immediately essay-related, which was a shame. 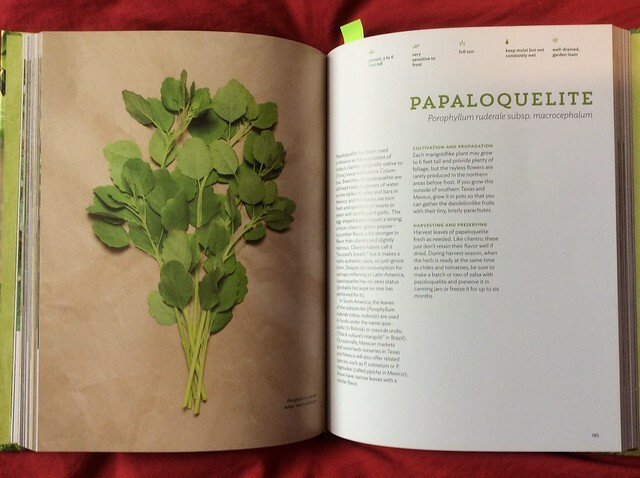 Anyway… yesterday I reviewed two new books on medicinal herbs. Today I’m firmly back on my usual ground of books about edible plants. I had already read these two, and they were waiting their turn to be reviewed, and as they’re both stonking books it’s time to get that done. They’re both published by Timber Press, an American publishing company that I love for producing books for gardeners that go beyond the basics of gardening to inform and inspire – something I often find lacking in British gardening books. 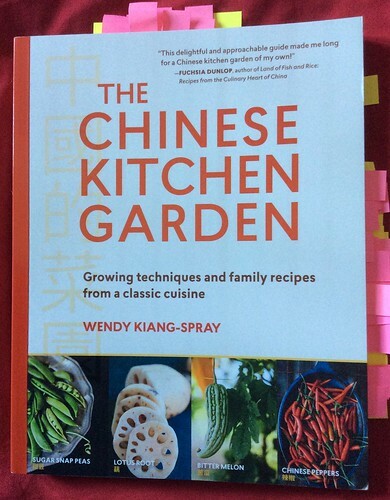 The first book is ‘The Chinese Kitchen Garden’ by Wendy Kiang-Spray, a Chinese-American whose parents immigrated to the US before she was born. They’ve gone from very humble village origins to a prosperous life – her father’s kitchen garden is extensive, and includes a lake (large enough to row a boat on) with ducks. Wendy’s own garden is more modest. After the introduction to Wendy’s family, the book divides into four seasons. Each season covers the basics of the important gardening jobs (Spring gets improving the soil, building raised beds, growing in containers and making compost) and then has a section on seasonal vegetables. Each plant gets a goodly wodge, with growing advice and kitchen notes and colour photos. Some get a recipe, most of which are from Wendy’s family history. In Spring, for example, you’ll be reading about bamboo shoots, crysanthemum greens, garlic chives and snow peas, among others. Summer and Fall continue in the same way; in Winter there’s gardening advice (crop protection, planning, sprouting), but no more plants. Whilst I love Joy Larkcom’s ‘Oriental Vegetables’ as a reference book, it can be a little intense. ‘The Chinese Kitchen Garden’ is a bit more approachable, easier to dip in and out of, and has personal notes about Chinese/Chinese-Amerian life that are very readable. One or two of the plants won’t grow well in the UK climate, but they’re in a small minority. I suspect most people won’t have the pond space needed for lotus…. But the book covers all of the familiar oriental vegetables, and plenty of ones that you may not have encountered before – including daylilies, fuzzy lemons and luffa. 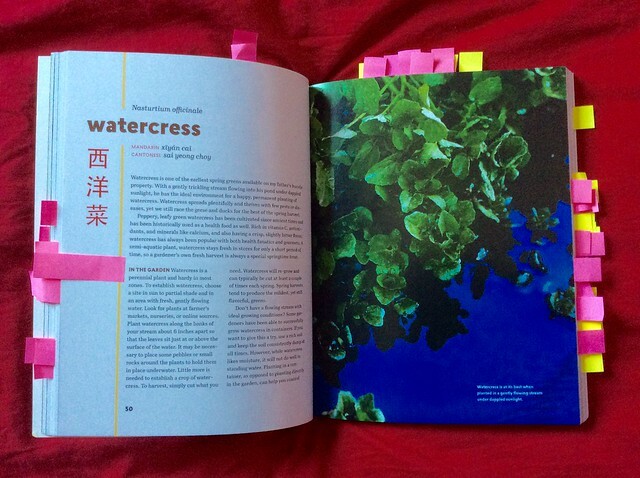 It’s an enjoyable read for anyone with an interest in oriental vegetables and cuisine. ‘The Chinese Kitchen Garden’ is a paperback with an RRP of £14.99, available via Hive for £11.79. It covers 38 Chinese vegetables, and includes 25 traditional recipes. In Germany, juniper berries are used to flavor sauerkraut and a conserve called Latwerge eaten with cold meats. The spicy, resinous flavor goes well with parsley, thyme, fennel, marjoram, bay, and other herbs, as well as garlic, spices, wine, brandy, and port. Seeds from the plant’s primary (central) inflorescence typically produce the highest germination rate. Whilst seed saving advice for veg isn’t hard to come by, for herbs it’s considerably less common. The plants included aren’t all hardy, but none of them require a tropical climate or a heated greenhouse to grow well. There’s two final sections, one on growing herbs (including diagnosing specific plant health issues and propagation) and one on preserving the herbal harvest, which includes basic recipes that you can adapt for your chosen herbs. 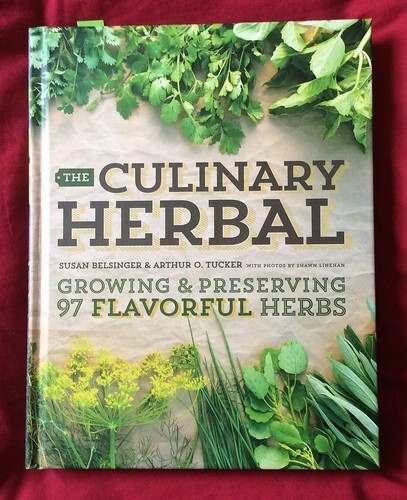 ‘The Culinary Herbal’ has an RRP of £17, and is available via Hive for £11.95. For me, a good gardening book is one that makes me struggle between competing desires – one to stay inside and finish the book, and the other to leap up and go outside and growing something. These two are filled with plenty of things I’ve never grown, and so will have that effect for years to come. They proudly take their place on my bookshelves. Timber Press provided me with hard copies of both of these books for review purposes, but I genuinely do love their books in general, and these ones in particular 🙂 The links to Hive are given for information purposes only, I have no commercial affiliation with them. I know some of you prefer to avoid Amazon, so I am highlighting an alternative.